In this section, we will be covering some advanced grammar that describe an action that takes place right after something else has occurred. 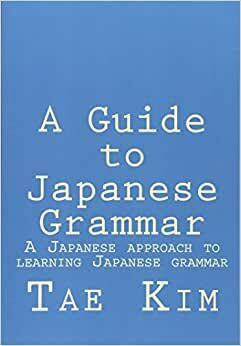 I suggest you look over this section if you are really serious about completely mastering Japanese, or if you plan to take the level 1 JLPT exam, or if you enjoy reading a lot of Japanese literature. The phrase 「が早いか」 is used to describe something that happened the instant something else occurred. While very similar to the 「とたんに」 grammar, it has a strong emphasis on how soon one thing occurred after another as if it’s almost simultaneous. This grammar is rarely used outside of Japanese language tests. To use this grammar, you attach 「が早いか」 to the first verb, then you describe the event that happened the next instant. While it’s conventional to use the non-past tense (dictionary form) for the first verb, you can also use the past tense. For example, you can say either 「言うが早いか」 or 「言ったが早いか」. The curious thing about this grammar is that the 「が」 particle comes right after the verb. Remember, you can do this only with this specific grammatical phrase. You can only use this grammar only for events that are directly related. You can only use this grammar only for events that actually happened (past tense). The instant (she) saw the professor’s figure, (she) ran away from the classroom. The instant (he) said “let’s try eating it”, he threw (it) into his mouth. The 「や」 or 「や否や」（やいなや） phrase, when appended to a verb, is used to described something that happened right after that verb. Its meaning is essential the same as 「が早いか」. It is also another type of grammar that is not really used in regular conversational Japanese. 「否」 （read here as 「いな」） is a Kanji meaning “no” used in words like 「否定」. The literal meaning of this grammar is “whether the action was taken or not”. In order words, the second action is taken before you even take the time to determine whether the first event really happened or not. You can use this grammar by attaching 「や」 or 「や否や」 to the dictionary form of the first verb that occurred. Since this grammar is used for events that already have occurred, the second verb is usually in the past tense. However, you can use the dictionary tense to indicate that the events happen regularly. This grammar is almost always used for events that actually happened (past tense). This grammar can be used with the present tense for regularly occurring events. (He) tried to say something as soon as he saw my face. As soon as the announcement to board was audible, everybody started running toward the gate. 「そばから」 is yet another grammar that describes an event that happens right after another. However, unlike the expressions we have covered so far, 「そばから」 implies that the events are a recurring pattern. For example, you would use this grammar to express the fact that you just clean and clean your room only for it to get dirty again soon after. Besides this difference, the rules for using this expression are exactly the same as 「が早いか」 and 「や否や」. Just attach 「そばから」 to the dictionary form of the first verb that occurred. The past tense, though rare, also appears to be acceptable. However, the event that immediately follows is usually expressed with the non-past dictionary form because this grammar is used for repeated events and not a specific event in the past. This grammar implies that the events occur repeatedly. The child messes up (the room) [repeatedly] as soon as I clean so I already became wanting to give up. Forget [repeatedly] right after I read the textbook so I can’t study.